Use the Class B subnetted IP addresses 133.33.0.0 to 133.33.255.255 to design your network. You must use this address space for all addresses unless specified in a particular question. Read the entire task before designing your IP address space. 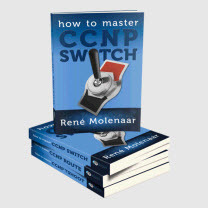 After your IP address space and IP routing are completed, it must be possible to reach all of your routers and switches. Set the enable password for all routers and switches to cisco. Configure IP addresses on your remaining interfaces. ■ Use a 24-bit mask for all other interfaces. ■ Use a subnet with the least number of hosts for the ISDN link. ■ Use a 25-bit mask for all Frame Relay connections running classless IP routing protocols. ■ Assign each router a 24-bit subnet to be used by the loopback address. It must be possible to ping and Telnet from any one router using the loopback address. ■ Configure local IP host addresses on each router so that an exec or privileged user can type the router name to ping or Telnet without having to type the full IP address.